Yay! You’re back! I missed you! Just wondering about the vanilla cupcake in this recipe, how did they turn out? 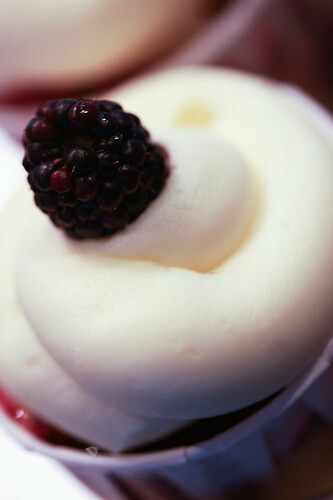 been looking and waiting for a good vanilla cupcake recipe from you.. Welcome back from a long stint off! Good to see some new fresh ideas! Glad you are back. I am looking forward to your yummy cupcakes. Yum! These look amazing, like you said you can’t go wrong with that combination. I heart blackberries too! Last summer I picked about 4kgs at once from a huge patch growing wild near my work, yuuummmm. 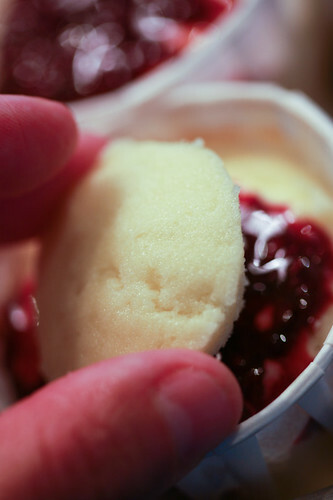 The ones that weren’t scoffed immediately were layered with sugar in a huge jar then covered in port. THey’ve been sitting in a dark spot ever since maturing and mellowing. 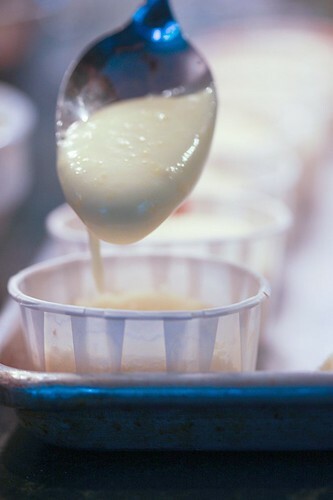 I could turn some into a syrup and drizzle it over your divine cupcakes! 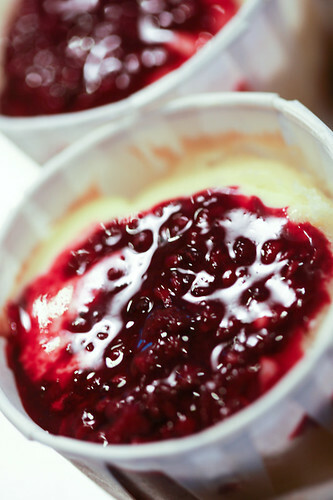 When we get into our summer and blackberry season, I will definitely be making these! Thanks! These look so good I would eat the entire batch myself–without sharing! I’m so glad you posted this when you did! I had a craving for cupcakes and found your post just in time. I finished assembling these 10 minutes ago and they are glorious. Such a perfect combination of flavours. Mmm, this frosting looks so fluffy and delicious. I wonder if the seeds or the extract will give it more of a vanilla taste? I’ve got to try this recipe, simply delicious. This is a great baking recipe for frosting. This recipe looks delicious, I can’t wait to try it. It looks so fluffy and delicious. This is a great baking recipe for frosting that I’ve got to try. So happy I stumbled upon your site. Loving these recipes! Can’t wait to try this one! 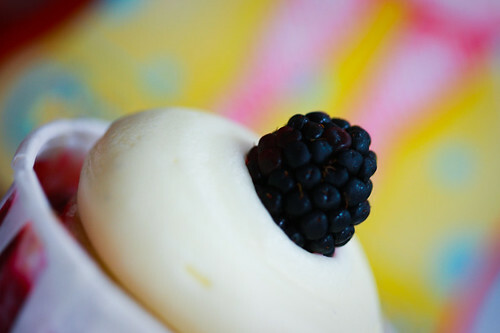 Lemon, blackberry and vanilla – all of my favorite flavors wrapped up into one delicious cupcake! Thank you! It looks so delicious and I knew this is same in test. Thanks for sharing the procedure. This looks delicious, but in my country we’re already out of blackberries, is it possible to switch with raspberries? hosting bridal shower and have a brown/yellow theme. i’m not clever and need help. thinking of possibly making cupcakes with sunflower looking frosting. do you have any ideas? I can’t wait to try these cupcake recipe. For the lemon curd, is there a substitute for the 2 egg yolks?